Commemorate your Hole In One with this beautiful sandblasted golf plaque that can either be hung on your wall or displayed on a shelf. 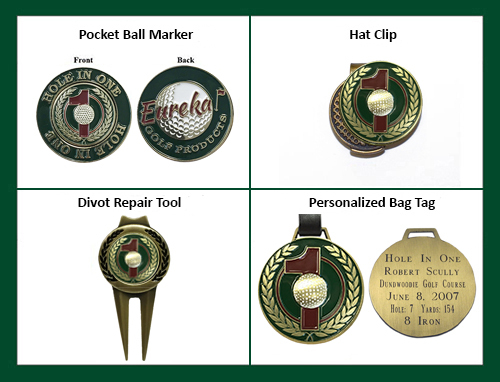 Plaque includes a personalized laser engraved plate, a spot for your golf ball, and an acrylic protected area for your 8x6 scorecard. Male and Female versions are available. Plaque Measurements: 14 1/8" x 11"